Spring is officially here! Around this time of year, we like to air out the house, clean up the yard and take care of everything that we put off over the winter. Most of what needs to be done is obvious. However, some important tasks are less apparent. A perfect example is checking up on your garage doors. Garage door service should be carried out regularly, but is often one of the last things on our minds. 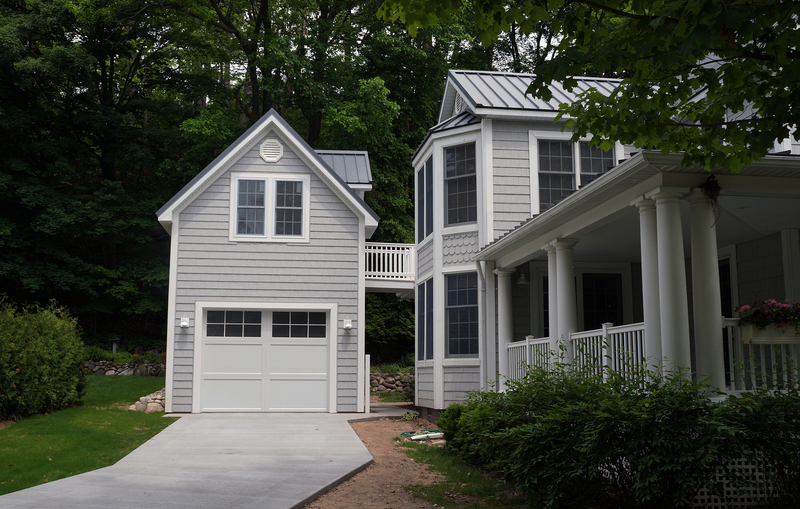 This spring, give your garage doors a little attention. Garage doors are one of those things that you expect to just work. But when they don’t, you may find yourself in a hazardous situation. Over time, the mechanisms are weakened by wear and tear, eventually compromising the door’s functionality. Repair or replacement may be necessary. It isn’t only the mechanical parts of a garage door that can become damaged. If your door has damaged sections, you need to repair or replace them. Wooden garage doors can splinter and rot. When the wood is weak and rotting, screws are no longer firmly in place and the doors hinges can become loose. Also, look out for deformed or damaged sections of the door. Panels could be misaligned, loose or missing and deformed sections can cause a door to fit poorly. This gives rodents, insects, and even trespassers easy access to your garage. Another indication that you need garage door service or replacement is when you notice a heavy vibration while the door is operating. 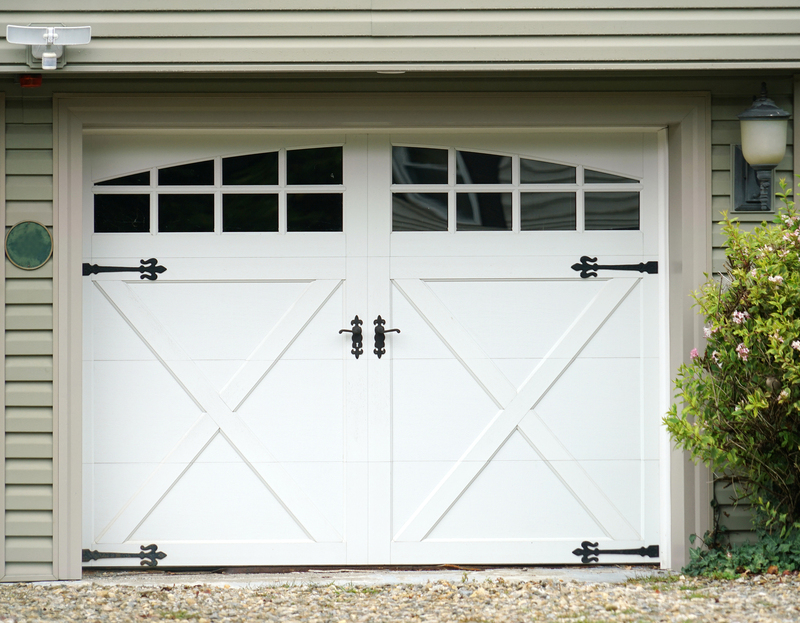 If the door shimmies and shakes, your garage door could be experiencing major issues. The rollers may be rusted or popped out of their tracks. Cables and springs may be broken or out of adjustment or the door could have broken or loose hinges. Whatever the issue may be, if you have a vibrating garage door, have it serviced immediately. If your garage door is extremely loud while operating, it’s in need of repair or replacement. Uneven tension, worn shaft bearings on the opener and unlubricated rollers and hinges can cause this problem. If you have to cover your ears every time you enter the garage, it’s time to have the door serviced. The ‘safety eyes’ on a garage door are an important safety mechanism that should always be functioning properly. These sensors stop the garage door if someone or something passes under it during operation. You should check regularly to see if they are working. You can do this by putting a garbage can in the path of the sensor and try closing the door. You can also check if the LED sensor lights are on. It is very important that the sensor is working, as safety should always be a top priority. Also, if the garage door should close on an object, it could cause significant damage. Even though your door appears to be functioning properly it could still be lacking a key feature – security. Older garage doors can be easier for trespassers to open. Panels sometimes aren’t snug and can be moved away from the frame to expose side latches or the top trolley release. Other times, the door can simply be forced open without much tampering. If the security feature isn’t working properly or your door doesn’t have one, garage door service or replacement can help keep your home and family safe from intruders. If you are in need of garage door service or replacement, it’s best left to the professionals. Toms River Door & Window is a family-owned business with over 46 years of industry experience. We work to provide the very best service for our customers. Our experienced professionals can help you with all of your garage door needs. We carry superior quality products like Hormann garage doors and a wide variety of garage door openers including the Liftmaster Elite and Premium Series and Genie. Hormann is one of the world’s leading door manufacturers whose name has become synonymous with quality products for a wide range of residential and commercial applications. Take a look at our previous projects to see what we can do for you or contact us today to get started! Stop thinking about your dream renovations – get them started! Get a Quote — Beautify your home today!